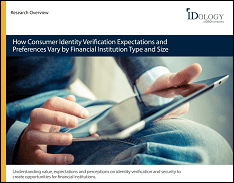 CIP and KYC compliance are still top of mind for everyone I talked to. And while regulation is the ultimate driving factor for using identity verification in this space, many are starting to see how automation and escalation to out-of-wallet challenge questions speed up the approval process and drive more card activations, and thus more revenue. Unfortunately I didn’t have a chance to sit in on many of the breakout sessions but I was up early enough on Tuesday to hear Fast Company’s Editor & Managing Director, Robert Safian talk about the 3 traits of a Fast Company and then interview Greendot Founder & CEO Steve Streit. Based on the traits Stafian discussed, one being a adaptability to change, I’d say if an industry could be considered a “Fast Company”, prepaid would fit. If you missed it, we made a big announcement about our new partnership with TxVia on Monday as the show was getting underway. We are very excited about this partnership and look forward to working more with the folks there. My 3 year old nephew is also very excited about TxVia because they gave away toy taxicab cars, which helped me to score some big best aunt ever points. Another favorite give away item I brought home was from booth neighbor (and customer) Aurora Financial – it was a solar powered iphone charger.